Tom Williams brings us the latest search engine optimisation news, including news of a possible new Google Algorithm update, Google’s announcement on keywords in URLs, and changes to Google's Ad tag. Is Google Going to Release a New Algorithm Update? Is Google in the process of updating its algorithm? Due to various complaints from site owners posted on the Google Webmaster Help forums, and a sudden boost in comments questioning the reason for ranking drops and lack of engagement in the WebmasterWorld thread, some SEOs - including Rustybrick’s Barry Schwartz – believe we may be seeing the early signs of a Google algorithm update, although whether this is a Panda update or the long-awaited Penguin update is uncertain. 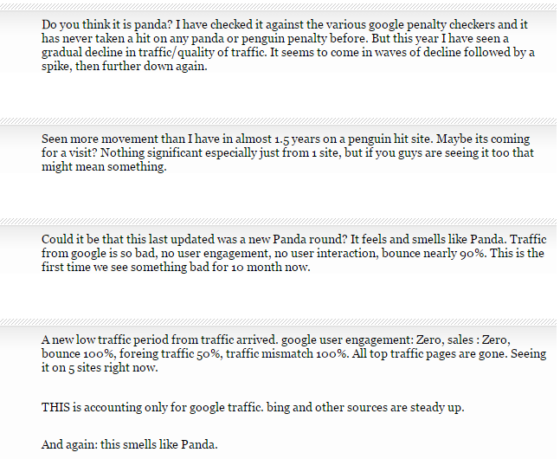 Here is a screenshot showing some comments on the WebmasterWorld thread. On 14 June 2016, Google’s John Mueller announced in a Google Hangout that keywords inside of the TLD (top level domain) part of URLs are ignored, and are not used to determine rankings in SERPs. According to Google, this is for ranking purposes and it will ignore any keywords used in top-level-domains, such as .LIVE or .NEWS. In the Google Hangout, John Mueller said: “The TLD is not something we take into account there.” And stated that keywords in TLDs are “completely” ignored. For the past few months, users around the world have been seeing and reporting green Ad tags for paid ads in search results, rather than the usual yellow colour. Google sent a statement to The SEM Post announcing that Google is changing ad tags to green globally, to all users on all devices, both desktop and mobile. 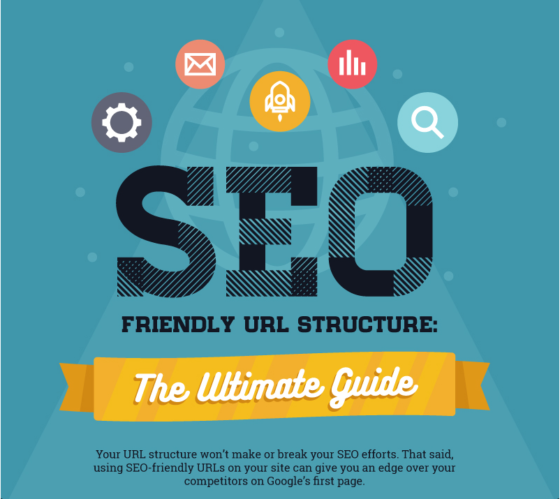 Search Engine Land’s John E Lincoln and Brian Dean have created an infographic providing a guide to SEO-friendly URLs, showing how important it can be that the URLs of your site have an SEO-friendly structure, as it can make your site easier to navigate, and give you an edge over competition. The full infographic can be found at Search Engine Land. George Freitag covers the importance of listing accuracy in this week’s episode of Whiteboard Friday. Read last week's SEO News Roundup: Is Penguin 4.0 Nearly Here? Want some more information on technical SEO best practice? Learn everything you need to know by downloading our free Technical SEO Best Practices eBook. Alternatively, find out how you could improve your websites rankings with our Technical SEO services.